Hardest Cube Game is one of the most difficult games on the App Stores! Playing the game is simple yet very challenging. 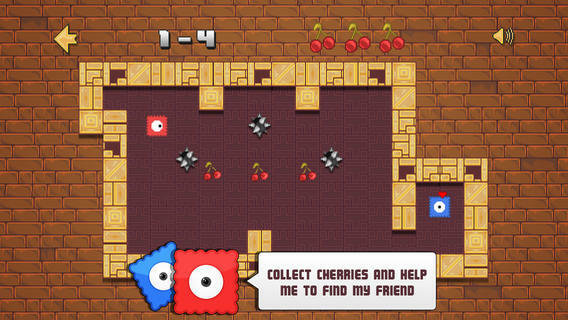 Move the red square with the big eye, collect the 3 cherries on each level and wake the blue square up. Use the virtual pad to move the red square to collect all the cherries, then move the red square to the blue square to complete the levels. However, be careful not to touch any obstacles or popping enemies otherwise you’ll lose! Are you good enough to complete all 45 levels on all 3 difficulty settings of the game?